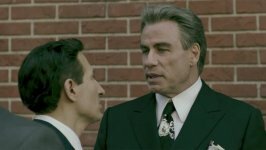 Gotti release date was Friday, June 15, 2018. This was a Nationwide in theaters release. 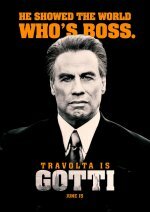 John Travolta (Academy Award Nominee) stars as the legendary mobster John Gotti who was head of the largest and most powerful crime organization in North America, the Gambino Family. His flamboyant style, charm and ruthless personae made him the most famous mobster in the 20th Century. 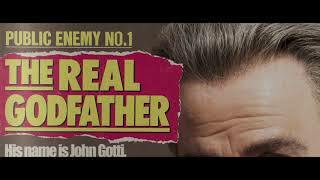 The story, told through the eyes of his eldest son John Gotti, Jr. delves into the past and explores Gotti’s epic rise and fall in the mob. He earned the name “Teflon Don” by the media whom he did not shy away from, due to the FBI’s numerous unsuccessful attempts to convict Gotti. 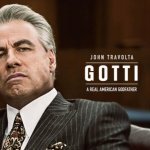 At the end, he was sentenced to life in prison, and a young 24 year old Gotti Jr. becomes the acting Boss of the Family. Gotti Jr. is also investigated and arrested in his own connections to crime by the FBI. Gotti Jr. ultimately rejects the legacy he was born into, and walks away a “civilian”. 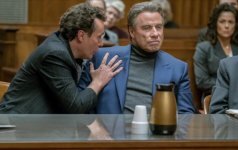 The movie has been a long-time passion project for John Travolta.